Wash the lettuce, core apples, peel papaya, and cut into bite-sized pieces. Mix pesto and olive oil as sauce, and season with salt and pepper. Combine lettuce, apples, and sauce. 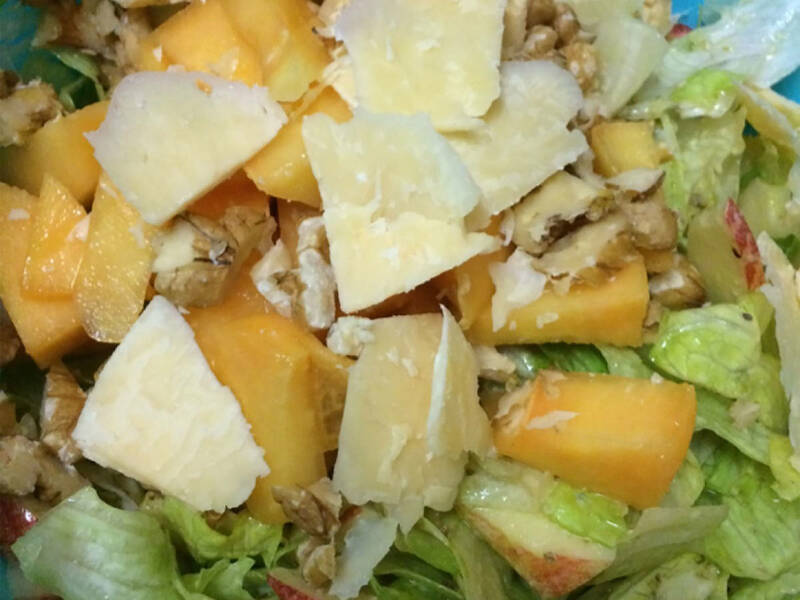 Finish off by adding papaya, walnuts, and Parmesan. Enjoy!